The French Navy’s medium-size frigate is being developed by DCNS. The FTI frigates will have a displacement of approximately 4,200t. The FTI medium-size frigate’s export variant was unveiled in October. Image courtesy of Domenjod. A prototype of the export variant (designated BELH@RRA) of the French Navy’s future FTI (Frégate de Taille Intermédiaire) medium-size frigates was unveiled during the Euronaval trade show held in Paris in October. The French Navy version is being developed by naval shipbuilding company DCNS in collaboration with the French Defence Procurement Agency (DGA), under the FTI medium-size frigate programme. Thales has been contracted to supply latest-generation navigation and communications equipment for the frigates. The heavily armed frigates can be deployed in a wide range of missions such as anti-surface warfare, anti-submarine warfare, anti-aircraft warfare, patrol, maritime security, control of exclusive economic zone (EEZ), asymmetric warfare, and special forces activities. The French Navy plans to order up to five units with deliveries, beginning 2023. The frigate will be equipped with efficient countermeasures, navigation and communications equipment manufactured by Thales. "The heavily armed frigates can be deployed in a wide range of missions such as anti-surface warfare, anti-submarine warfare, anti-aircraft warfare, patrol, maritime security, control of exclusive economic zone (EEZ), asymmetric warfare, and special forces activities." They include Sea Fire 500 multi-function active fixed-array antenna radar, Kingklip Mark II hull-mounted sonar, Aquilon integrated naval communication system, radar and communications electronic support measures for electronic warfare, jammers, and a compact version of the combined active passive towed array sonar (CAPTAS-4). A non-rotating IFF (identification friend or foe) antenna system will equip the frigate to provide surveillance and monitoring at sea. 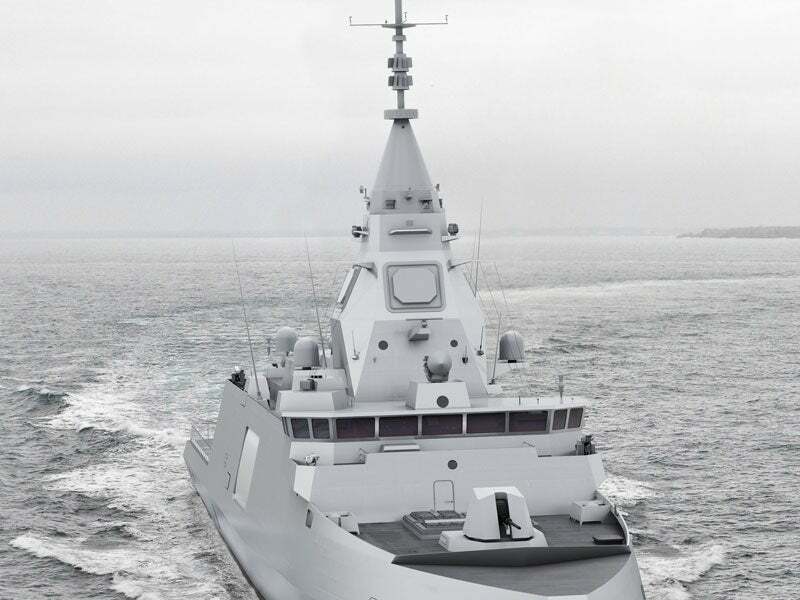 The FTI frigate will be equipped with DCNS’ ship enhanced tactical information system (SETIS) combat management system, which provides the operator with improved decision-making and battle management capabilities. Featuring man-machine interface, the SETIS system integrates onboard combat systems, command support modules and planning tools. Propulsion for the multi-mission frigate will be provided by a 32MW combined diesel and diesel (CODAD) propulsion system. The mid-size frigate will have a maximum speed of 27kts and a range of 5,000nm at a speed of 15kt. JEUMONT Electric, a century-old world-class pioneer in electrical energy technologies, has a global offering in the field of HV/LV electrical rotating machines and conversion equipment.